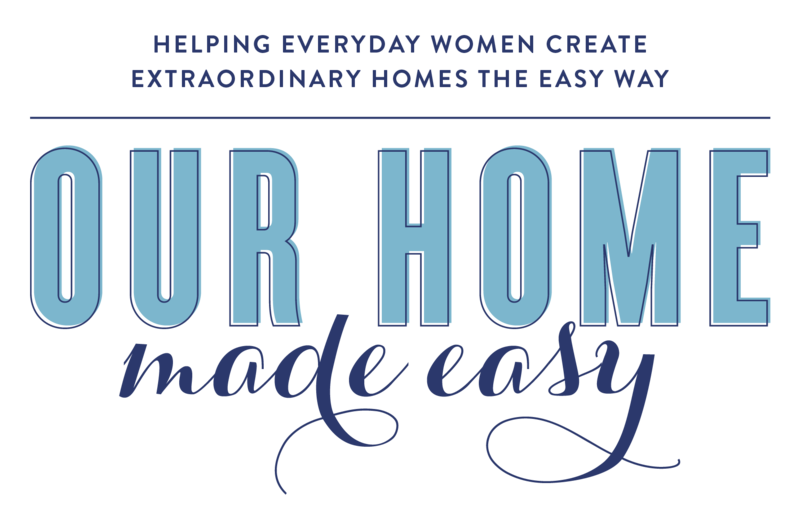 This morning the annual Ultimate Homemaking Bundle launched. It’s like Christmas Day for everyone who wants to make their lives easier, become more organized, and enjoy living in their home a little more! What if you could learn organizing and decluttering methods to keep your household running smoothly most of the time? 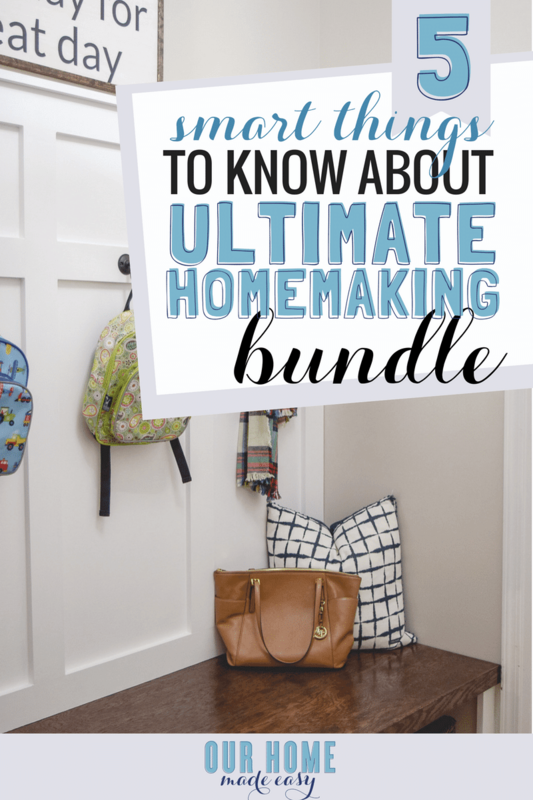 Before you spend your money on the Ultimate Homemaking Bundle, you really need to consider if it’s right for you. I’d hate for you to buy something that you don’t use. Besides being packed with so much great stuff, one of the things I like best about the bundle is the price! Tell me, are you interested in any one of those items? If so, keep reading, I know you’ll love it! This bundle is a collection of 62 eBooks, 30 eCourses, videos & audios, 34 printables & workbooks, and 3 membership sites. Inside this bundle, you will find tons of resources with hundreds of recipes, chore printables, budget planners, and more. It’s basically all your favorite bloggers’ products together in one collection – all for $29.97. There is no way on earth each of these eBooks / eCourses is relevant to where you are right now. Some of them will have a lot of appeal, and some won’t. But in most cases, it only takes 3 or 4 eBooks or eCourses that you’re going to use for you to start saving money. Not to mention, there are 30 resources alone that are worth as much or more than the cost of the bundle itself. So, even though you won’t use every resource in the bundle, it would still be really hard to not save a ton of money anyway. This is great news for Ultimate Bundle fans— each year the folks at Ultimate Bundles collects all new resources for their bundles. You won’t any of these 129 resources as duplicates from last year! Last year my own eBook, Your Life Made Easy, wasn’t ready to be included in the bundle— this year you’ll find it along with 128 other amazing resources! It’s all amazing and all completely brand new. If you bought the bundle last year or 3 years ago, you’ll feel confident that what you’re buying the best resources on the market right now. Take Advantage of the Bonuses! One of the best secrets about the Ultimate Bundles are bonuses that are included with the bundle. Like the resources, they change out each year. 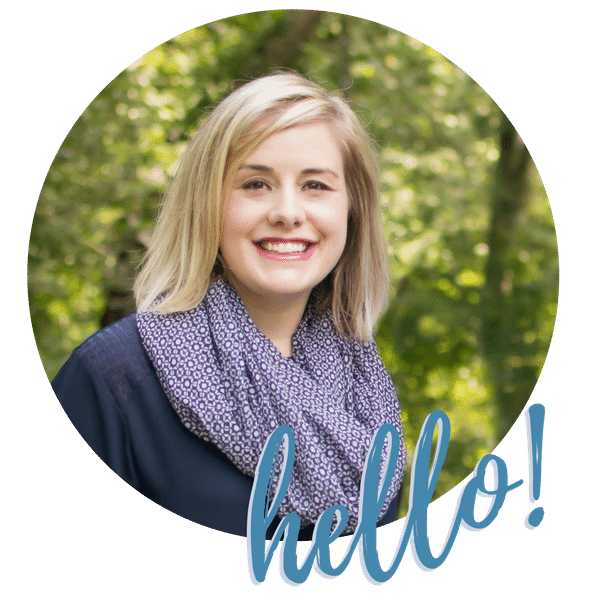 This year I’ve already ordered more planning supplies with the $15 Cultivate What Matters gift card! My order arrived quickly and I m loving the goal sticker book and my pack of rolls of washi tape. It was a great value and I think spent less than $4.00 on shipping. I’ll take it! For me, I am focusing on the Early Bird bonus from GYPO. I enrolled in the Spring 2018 Style Challenge. This mom needs some major styling advice. One of my biggest problems about clothing is never buying items strategically. If I see something on sale– or at Costco (let’s keep it real…), I’ll buy it, take it home, and then never wear it because it doesn’t match anything. I’m looking forward to having some help in coordinating classic outfits that I can throw together and look good for work and during the weekend! Aside from the two bonuses above, there are several other bonuses that are sent to your inbox or your mailbox! Ultimately, that’s how they convince all these amazing bloggers and product creators to include their products for so little! I hope this helped answer some questions you might have about the bundle and ultimately make a smart decision on whether or not you should buy it! « 40 Easy Cinco de Mayo Recipes!